I received a complimentary copy of this book for use in my review. This post will only review the book noted here--not offer opinions, reviews, or endorsements of the ministry itself. Quick Summary of No Longer a Slumdog: Bringing Hope to Children in Crisis. "You girls stay here. I’m going to get something to drink.” But after a few minutes, the train started moving again, and Mom still wasn’t back! Our hearts were racing. The train kept going faster and faster. Where was Mom? Hope is growing in the hearts of those who never knew such a thing existed. In this truly gripping narrative, K.P. Yohannan shares their stories— stories of lives transformed, of families learning to love, of entire communities flourishing with new life. Witness as this next great wave of transformation sweeps the nations. No Longer a Slumdog introduces readers to a world most of us will never know. This book spends a great deal of time illustrating, through personal stories and narratives, the difficult world of the Dalits and OBCs, suffering among the poorest of Asia. Much time is spent explaining the culture--and the problems faced by those at the very bottom of a centuries old caste system. Many of us will never know the hopelessness felt by the truly poor and nearly forgotten. The pain of the children faced with day to day survival worries--unable to even consider a future. Not expecting a future. Yohannan introduces us to that world. He illustrates the need for help, the need for compassion, the need for hope. No Longer a Slumdog introduces readers to the work of Gospel for Asia. Throughout the book, the author presents successes and small triumphs made by the Gospel for Asia organization in these poor communities. Readers are introduced to the various missionary programs, outreach activities, sponsorships, and the group's Bridge of Hope Centers. 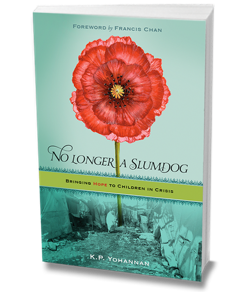 Would I recommend No Longer a Slumdog: Bringing Hope to Children in Crisis by K.P. Yohannan? The book is very well written, thought provoking and inspirational. For those of you seeking to learn more about these children (and families) living among the poorest in Asia--this book offers a very detailed, insightful look at the needs and issues plaguing them. If you are interested in learning more about the Gospel for Asia--and their work--this book offers a look into their activities, their goals--and offers readers opportunities to join them in their work. While I cannot speak to the actual operations and successes of Gospel for Asia--this book does open readers eyes into both the people served and possible ways in which to help them. 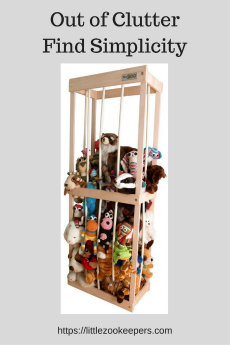 No Longer a Slumdog: Bringing Hope to Children in Crisis? Visit the Gospel for Asia website and request your free book here. Dr. K.P. 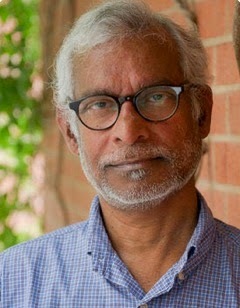 Yohannan, founder and international director for Gospel of Asia, has authored more than 200 books, including Revolution in World Missions, an international bestseller with more than 3 million copies in print. He is on the board of the National Religious Broadcasters (NRB), and his Road to Reality radio program airs on more than 900 stations worldwide. He and his wife, Gisela, have two grown children, Daniel and Sarah, who both serve the Lord with their families. Disclosure: I received a complimentary copy of this book as part of a promotional campaign via Fly By Promotions. All opinions are my own. I am only writing about the book featured--not the organization as I have not had personal experience with Gospel for Asia. 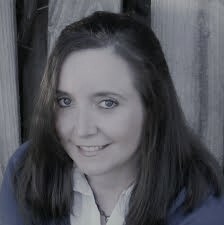 I encourage my readers to research all organizations thoroughly and independently before committing time/funds/support.